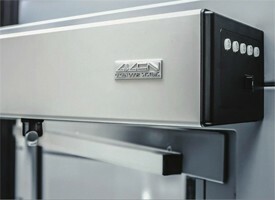 Gilgen Door Systems is one of Europe’s leading manufacturers of automatic door and industrial door solutions. Our comprehensive product range opens doors for customers nationwide, giving them more convenient, secure and reliable access. We are a member of the ADSA (Automatic Door Supplier Association) and registered with CHAS, Safe Contractor and Constructionline. Over the past 50years we have built an enviable reputation for delivering quality and reliability for hundreds of loyal customers. In the UK we work with many blue chip organisations, from supporting the initial design and specification of projects through to whole life product management. 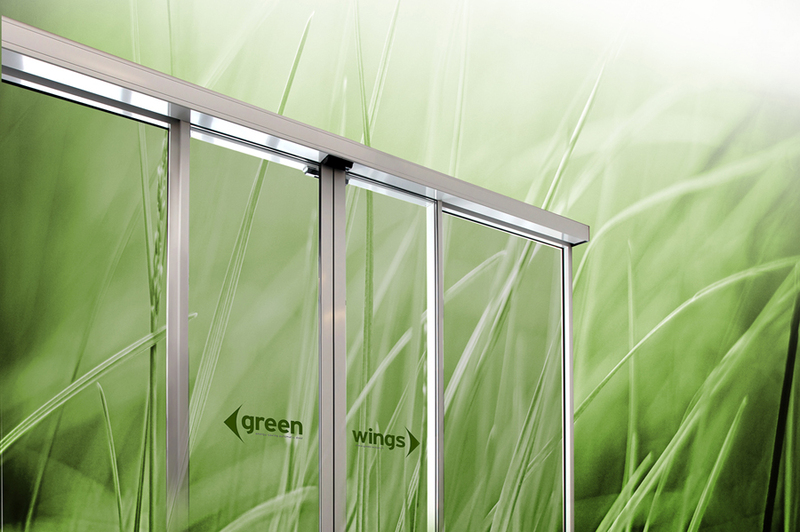 Our automatic door range includes sliding, curved sliding, swing and folding doors suitable for any environment as well as bespoke solutions. We have extensive installation experience across retail, office, transport, education and healthcare markets, to name a few. 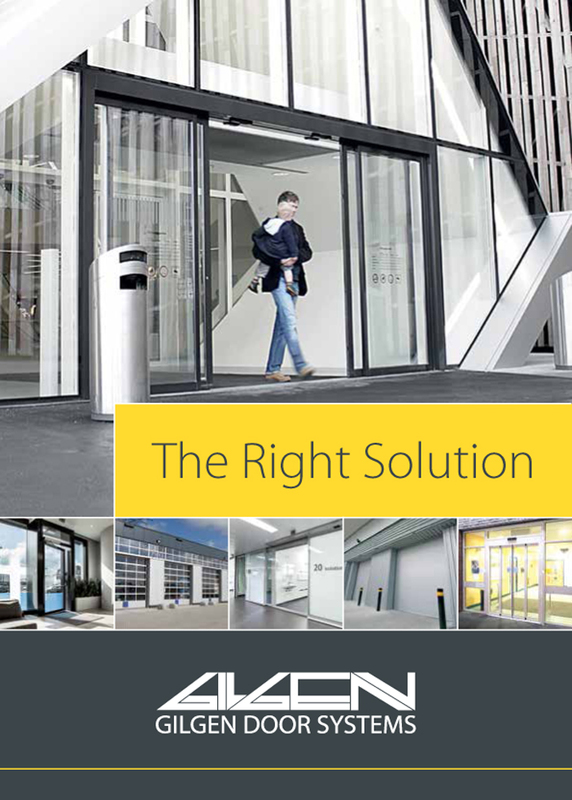 Gilgen automatic doors meet the requirements of BS EN 16005 safety-in-use standards. 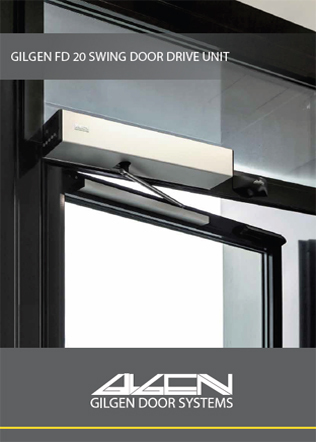 Innovations include burglar resistant automatic doors meeting secured-by-design standards and a versatile swing door operator, the FD 20, suitable for internal or external doors up to 250kg. Our Industrial door range includes security shutters, steel hinged doors, high speed doors, folding doors, sectional overhead, fire doors and roller shutters. We are a leading UK manufacturer of industrial doors with a production facility in Alfreton, Derbyshire. 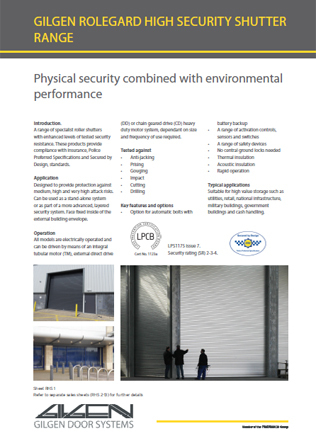 Our Rolegard range of security shutters offers the highest level of security currently available in the UK, meeting LPS1175, Issue 7, levels 2, 3, 4 to secure property with a high risk of attack. With 90 mobile engineers across the UK, Gilgen operates one of the largest door maintenance infrastructures in the UK. Our engineers are ADSA certified and well equipped to service any make or type of automatic door, industrial door, gate or barrier. We offer 24/7 365 nationwide rapid breakdown response and our Safeguard planned maintenance agreements help customers to lower maintenance costs, improve safety and maximise uptime for all their doors. Gilgen Door Systems operates to ISO9001 quality standards and offers a one-stop solution for customers seeking high quality, reliable building access solutions.